Ammi or 'Queen Anne's Lace' is really easy to grow - I've had success just throwing some seeds in a corner and letting them get on with it by themselves! It's a hardy annual so can you can sow it in autumn for early flowers the next year, and the more you cut it the more it will grow. 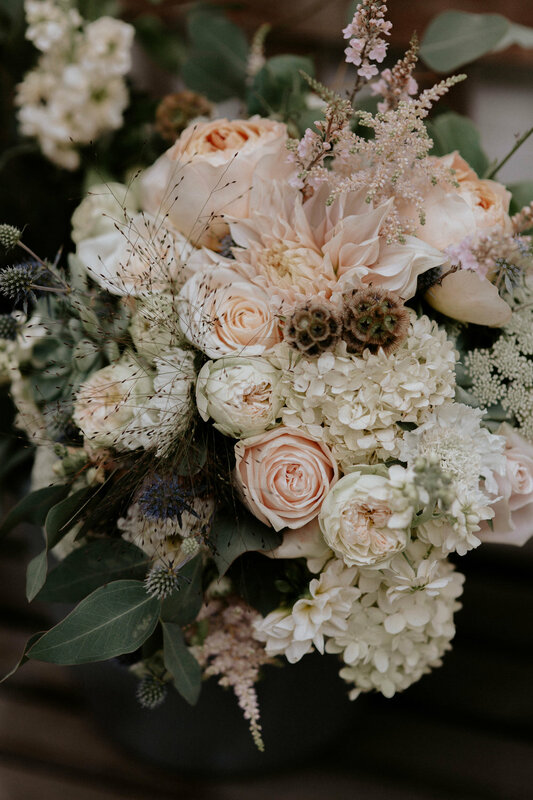 I love it for it's delicate, lacy look and the small white clusters of tiny flowers make it a great substitute for gypsophila (which I just hate!) and it goes perfectly in all manner of designs for both bridal work and more casual bouquets. This is a bit of an unusual filler that is having a little bit of a resurgence. It's one of the easiest plants to grow - just stick it in the ground and watch it go - plus once you've had it once it'll self seed with abandon. Sow successionally and keep cutting and you'll have flowers right up until the first frosts. I love the trailing habit for using in taller designs and it lasts really well in the vase. Cut early in the morning, wrap in newspaper and sear the ends with boiling water before putting in deep water for a few hours. Once they're well conditioned you can remove the newspaper. Yes... cress. As in Egg and. It's an unusual but a beautiful foliage filler in bouquets. It lasts really well out of water and obviouly has very cheap seeds. You'll get several years worth of plants for a 20p outlay. Another one to sow successionally, once the seed pods have formed. In my windy spot the plants benefit from some support as they get bigger. 'Sea Holly' is a lovely flower that comes in a gorgeous variety sizes and blue and silver colours. There are biennial versions but the ones I grow are really very easy perennials. I planted mine a year ago and I got an ok crop of flowers, but from next year they will start throwing up really generous clusters of beautiful thistles. 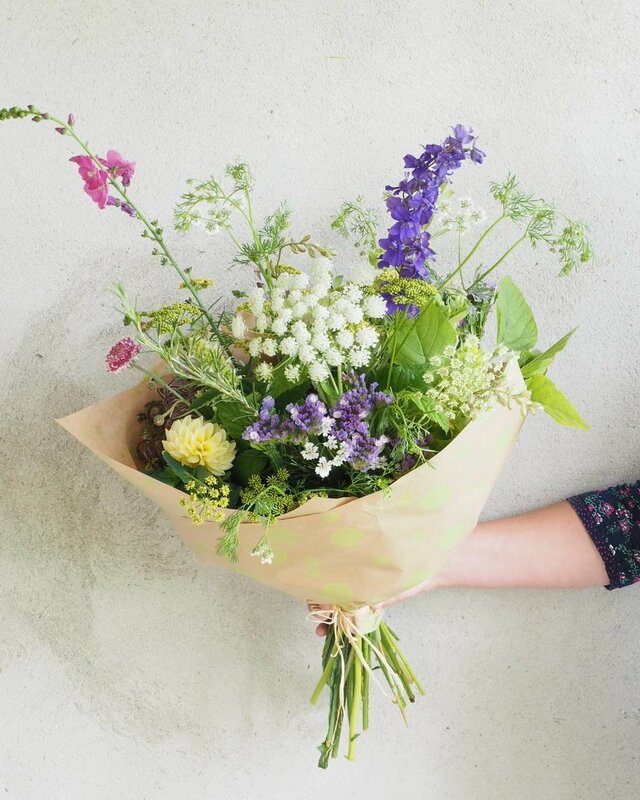 It's especially useful as it's one of the few true blue flowers available later than midsummer - so many couples want 'something blue' in August which can be a nightmare, so it always comes in handy. It mixes with all sorts of colour schemes and is a long lasting, incredible popular wedding flower. So many brides ask for daisies, and when they do feverfew is your answer. It's an easy to grow perennial that is covered in hundreds of tiny daisies. Once established the stems get a really good length - cut back after flowering to prevent woodiness and get a second flush of flowers. If you let the flowers set seed it will pop up everywhere, but its distinctive smell and leaves make it easy to identify and pull up. I also use it as a natural divider between beds, it makes a very sweet tiny hedge! There are obviously countless others that are just as beautiful and I'd love to hear what your favourites are. Leave a comment below and let me know!